Visiting Buffalo from Manhattan by train is a relaxing and memorable way to make the journey. 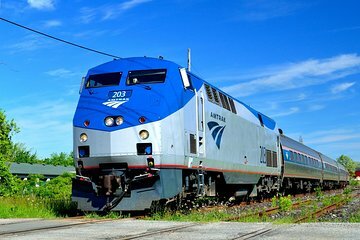 Admire views of upstate New York scenery as you roll out of Penn Station and through the countryside in a comfortable train, and then meet your guide for a tour of Buffalo attractions upon arrival. This overnight trip includes your hotel, round-trip train ticket, and sightseeing tour.